On April 25, 2015 a devastating 7.8 magnitude earthquake rocked Nepal, bringing destruction and devastation to thousands of people, killing nearly 9,000, and injuring more than 22,000. Hundreds of subsequent aftershocks, including a 6.9 magnitude shock on May 12th, turned even more homes, schools and community buildings to rubble. He Wishner5 partnered with the Community Foundation of New Jersey to raise money to rebuild schools and communities across Nepal. Himalayan Quests Foundation is our partner on the ground. 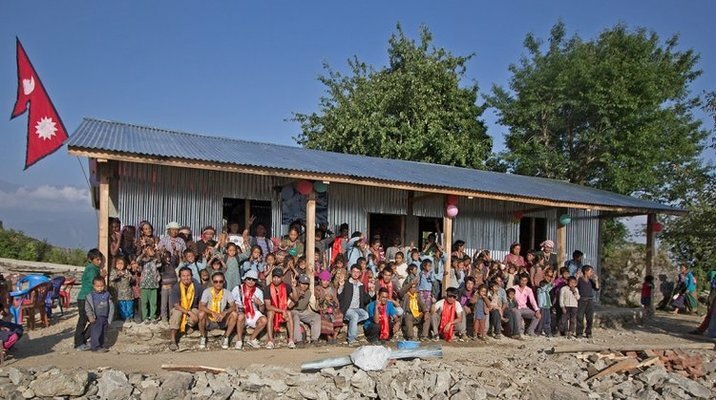 More than 95% of your contribution will go directly to the projects in Nepal.